The screenshot above is hosted and provided by cristallight.com. Please contact them directly for any copyright infringement as we are not responsible for that content. Last Update: 2018-05-11 - Major Update: version 3.9.9 released, GS1 Databar Extended functionality improved. 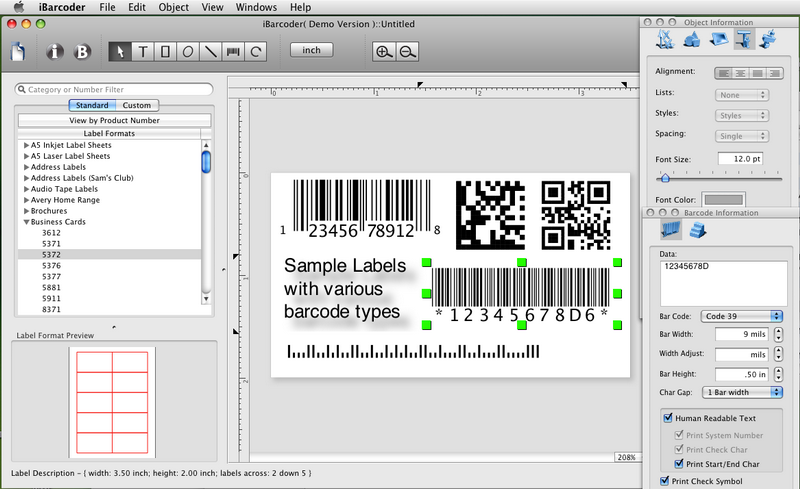 Use iBarcoder to design and print your own barcoded labels, stickers, tags, QR code and Datamatrix generator. Create barcode graphics for retail packages, books, stickers, and more. Copy, then paste finished graphics right to Adobe Illustrator, InDesign, Photoshop, or other software from mac clipboard. Add text boxes, image boxes, rectangles, ovals and lines to your labels. Type in the necessary text, insert the desired images, to create the professional barcode labels for commercial use. Sequential barcodes for catalogs and retail operations. Specify the sequence in which barcodes are printed or exported.